Without wasting any time, the legionaries of Legio X crossed again the river Sabis to help Caesar’s men against the Nervii. 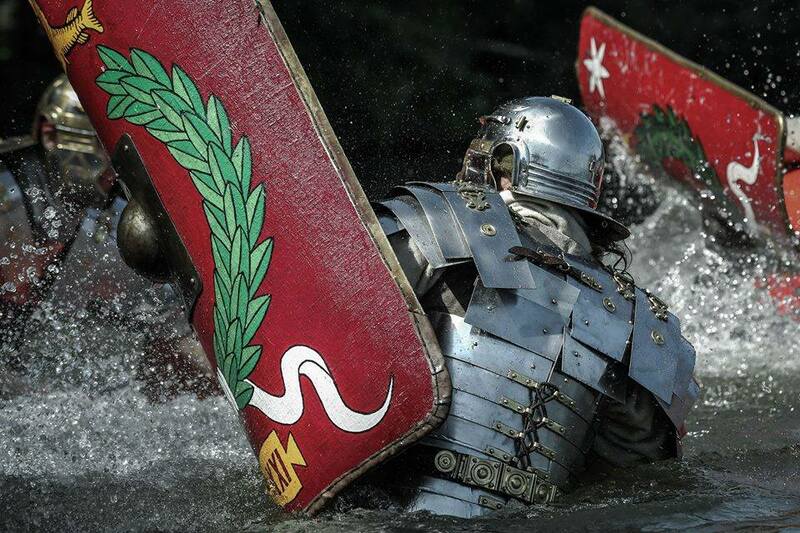 Reenactment of imperial era legionaries by the Polish Historical Association Legio XXI Rapax, photo by Cezary Wyszynski. Caesar marched with his six oldest legions towards the river Sabis sending first a body of cavalry to find a safe location where he would establish his camp. The newly founded XIII and XIV Legions followed at a distance, protecting the Roman supply convoy. The Roman cavalry corps had crossed the river Sabis to its right bank along with bodies of light infantry and skirmishers in order to oversee the Belgae. However, the Celts suddenly dashed from the forest, screaming war cries and brandishing their swords. Soon they repelled the terrified Caesarian cavalrymen and crossed the river swimming. When they reached its left bank they began ascending speedily the hillside, heading towards the top of the hill where the Roman soldiers were working on the construction of the camp. Caesar found himself in a very difficult situation since he had to act instantly to rescue his unorganized and unarmed legionaries. He had to give orders to sound the bucinae, to raise the red vexillia calling the legionaries to hurry for battle, to gather his men who were cutting trees, etc., all this ‘in just a moment’ as he characteristically writes in his memoirs. Fortunately for the Romans, Caesar had ordered his officers not to leave their soldiers until the construction was completed; thereby they were able to quickly gather their legionaries. 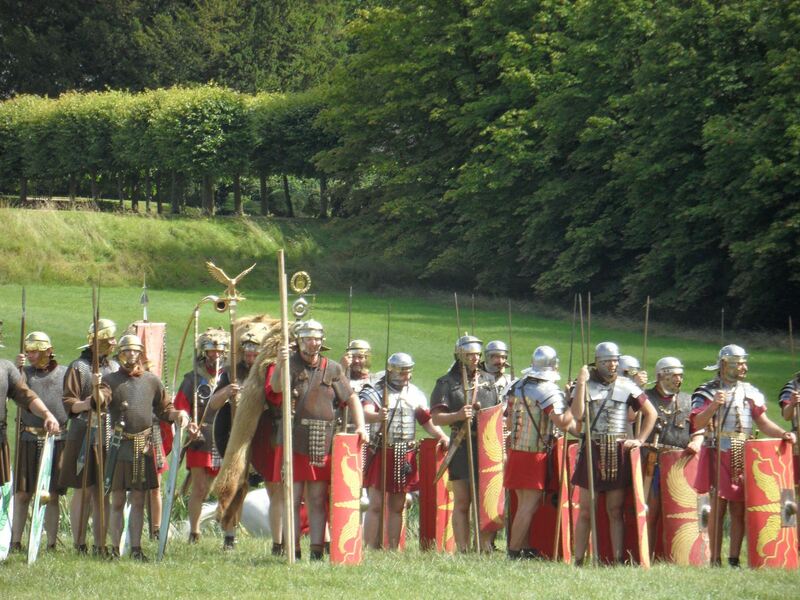 The Romans were additionally helped by the high level of their military training and discipline. When the more isolated legionaries realized the danger of the stormy attack of the Belgians, acted with characteristic collectedness. They did not search for their units; on the contrary they grabbed their arms and armour and ran to the nearest Roman vexillium (war standard) that was lifted up. Thus in an incredibly short time, a battle line was formed. It was a typical manifestation of the robust organization and discipline of the Roman army, one of the many features that made it an unconquerable (invictus) killing machine. Reenactment of Roman legionaries at English Heritage Festival in 2011 (photo by Lichfield Lore). The picture could very well represent legionaries ready for combat in the dense forest of Belgica, but the problem is that the depicted legionaries are of the Imperial era. In 58 BC the campaign of Julius Caesar for the subjugation of Gaul was going on. That year he overwhelmingly defeated the Germanic Suebi (Swebi) who also intended to conquer Gaul under their king Ariovistus. In the next year, the Roman general turned against the threatening Belgae. Many Gauls felt relieved by the destruction of the Suebi who had been threatening their homeland. Others understood that Caesar intended to turn their country into a Roman province. The Belgae were a large conglomerate of Celtisized peoples mainly of the Northwestern pre-Celtic ethno-linguistic group (pre-Teutonic Germani) as it seems, whom the Germans had expelled from their cradle (in the east of the Rhine), thereby they settled in northeastern Gaul, mostly between the rivers Seine, Marne and the Rhine. However the Belgae included some Celtic proper and Germanic tribes and clans. 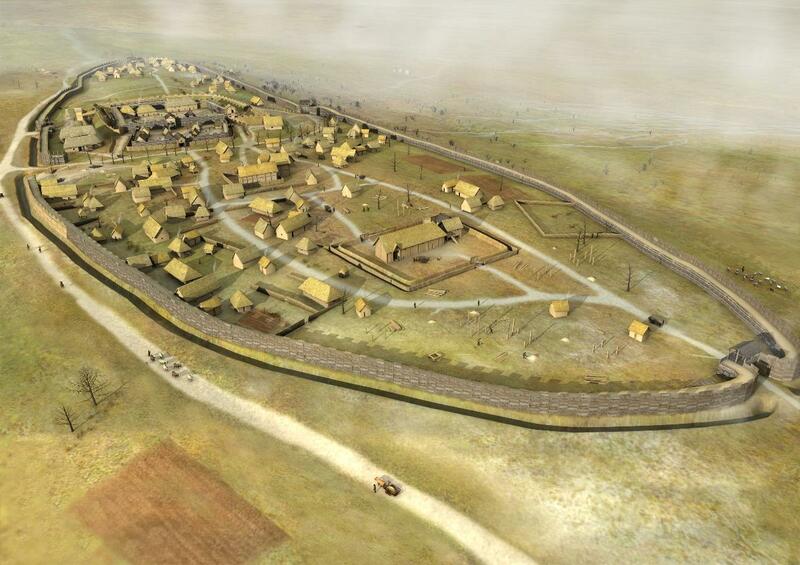 After their settlement in Gaul they had almost completely adopted La Tene culture (typical Celtic). Caesar in his ‘De Bello Gallico’ describes them as the most warlike and brave among the Gauls. The Belgians were additionally strengthened due to their long wars against the Germans. The majority of them were fanatically anti-Roman and their leaders and nobles supposedly kept their morals intact without succumbing to the Roman bribe attempts. The Belgae tribes were united in a tribal confederation on the basis of their common origins and culture. The Belgae realized that Caesar would campaign against them and thus their leaders started to exchange hostages in order to further strengthen the bonds of their union.